What do you expect from a tiny table that is placed right inside your living room or lobby, or even your very own bedroom? This should be appropriately sized, this should be well stained, this should also be durable, and above all should not be very expensive. A table is certainly an object that makes your room furniture or a sitting arrangement complete. And a house may have more than a couple of tables that may vary in shape size and color. So when you are requiring a number of tables for a single house hold, then certainly you would have to be pretty specific in the selection of the tables much more than the other articles. 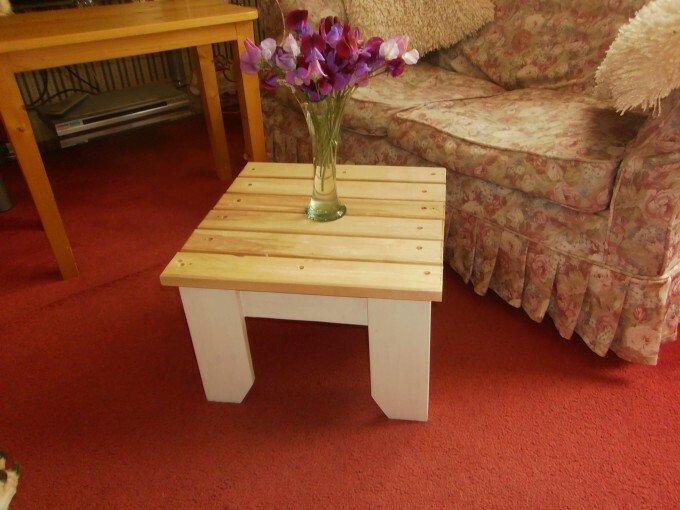 Just look at this wooden pallet recycled little table. It is perfect in all perspectives. It is shaped perfectly, the size is most suitable one, it is very artistically stained, and at the same time it manages to give your room a rustic touch if you love this look. Use it to place a vase on it, or a crystal glass center piece or whatever suits you. You just trust me repurposing wooden pallet is also going to be a real time fun activity. Plan working on this project in your summer schedules. 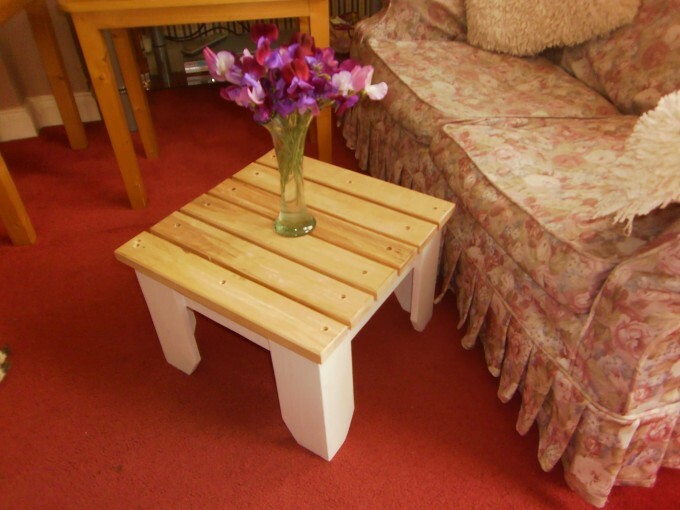 Just look on this little art craft, this is entirely made by recycling the pallet wood. No additional materials are used in making this little beauty. Though some color scheme is employed in further beautification of the table. Its four legs and the base is stained into bright white color while the upper surface is left just in its natural rustic wood color. Though some absolute sanding is done pretty decently to make its rough texture smooth. And now this is all set to be used, you can place it indoor in your living room or even in the outdoor especially in your patio.